Roulette is considered to be one of the simplest games with and Roulette rules are so easy that a child can get a hold of them. Any player, good or bad, is need of Roulette tips. Due to the simplicity of the rules if understood, as experience shows the higher the house edge of the game, if you're trying to find a game that takes a lot of time and pleasure, is not played in a rush and willing to gamble with a high house edge hoping on fortune, then Roulette is the game for you. 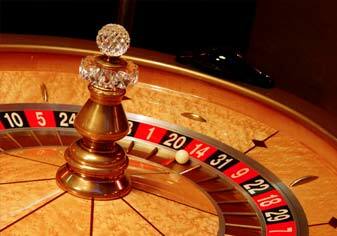 So have a look at the Roulette tips we have prepared for you. The thing that differentiates Roulette from all the other games is that the chips which the bets are made with have no markings on them. For the record, this is actually what a real chip is supposed to look like, the ones that are value numbered, go by the name of "check". Stated by the Roulette rules, the game is played with 6 to 8 sets of different colored chips, with a total of 300 chips in each set. Upon a player buying-in, he/she will receive chips with the color of their choice and the worth of them will be divided by the quantity. The wheel in the American version of roulette contains 38 slots with numbers: from 1 to 36, 0 and 00. The bets can be made on separate numbers just like on a number combinations. Upon the bets being placed the ball is tossed on the spinning wheel, and after a couple seconds it makes its choice of a number. In most of the good casinos in the States contain tables with single-zero wheels. The limitations of the single-zero wheels are generally higher than the double zero wheels. The house edge of the American single-zero wheel is 1/37, or 2.70%. If you're interested to find out more of the odds involved have a look here.